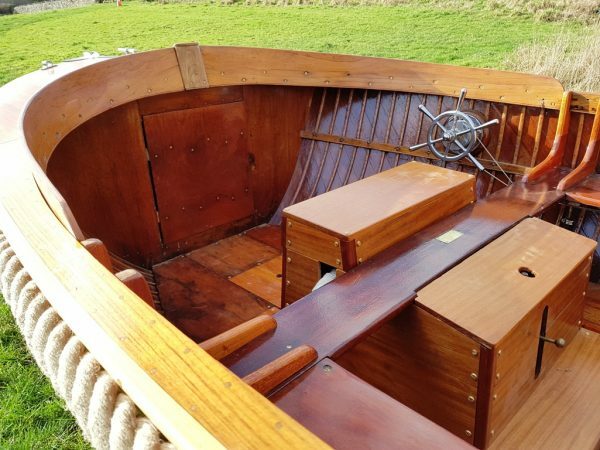 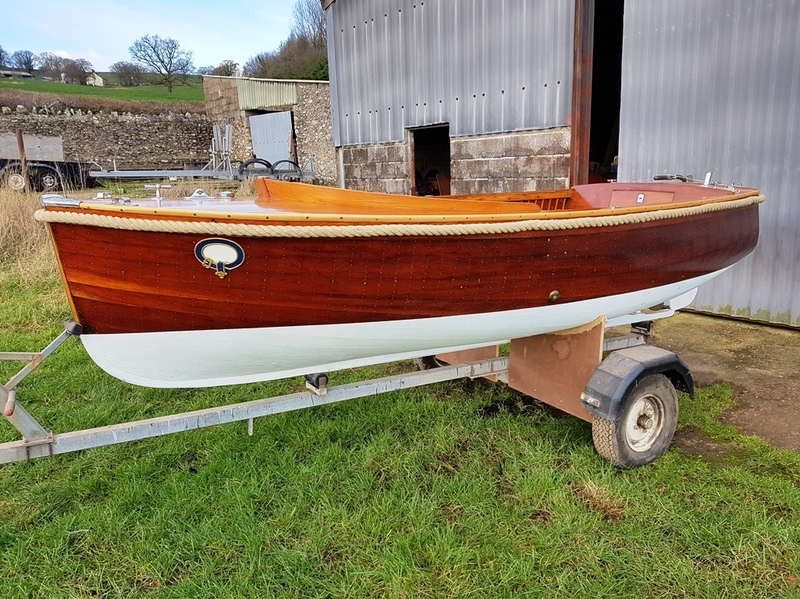 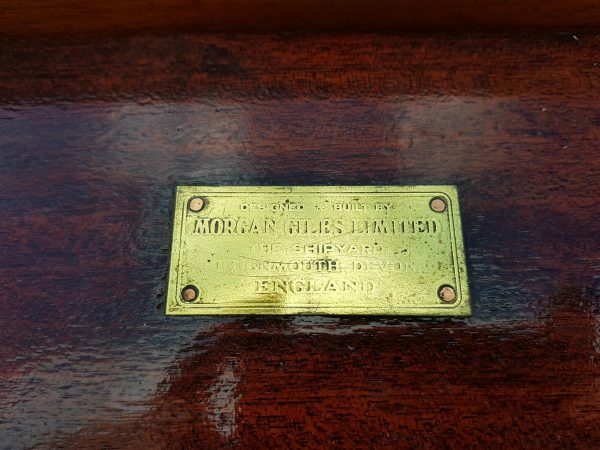 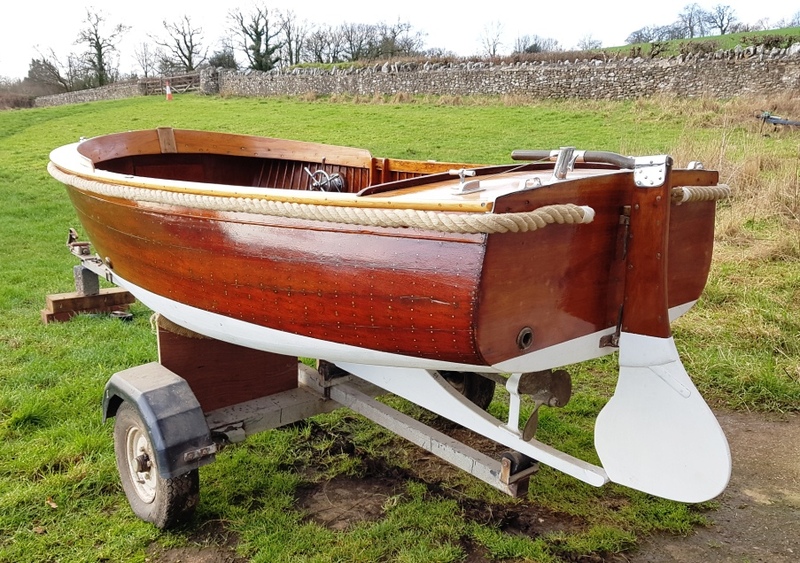 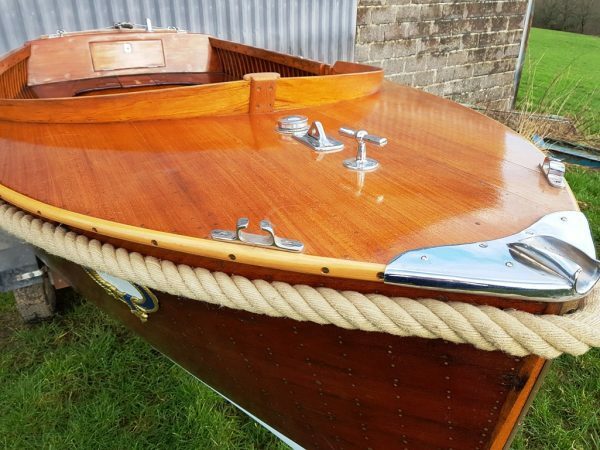 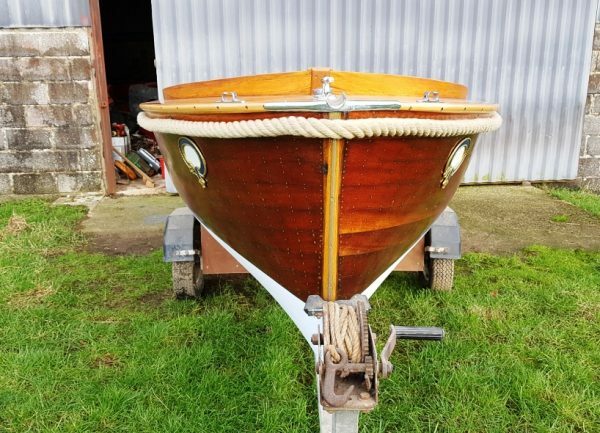 A professionally restored Teak & Mahogany river launch built by Morgan Giles of Teignmouth in 1949 to an Edwardian style design. Powered by a re-built 4hp Stuart Turner petrol engine. 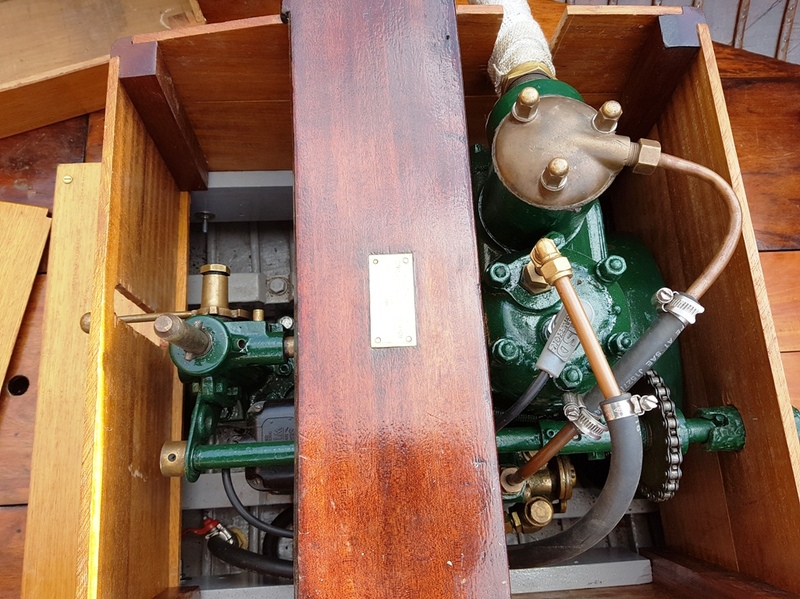 One of only a handful surviving of this type, one in the Falmouth Maritime Museum. 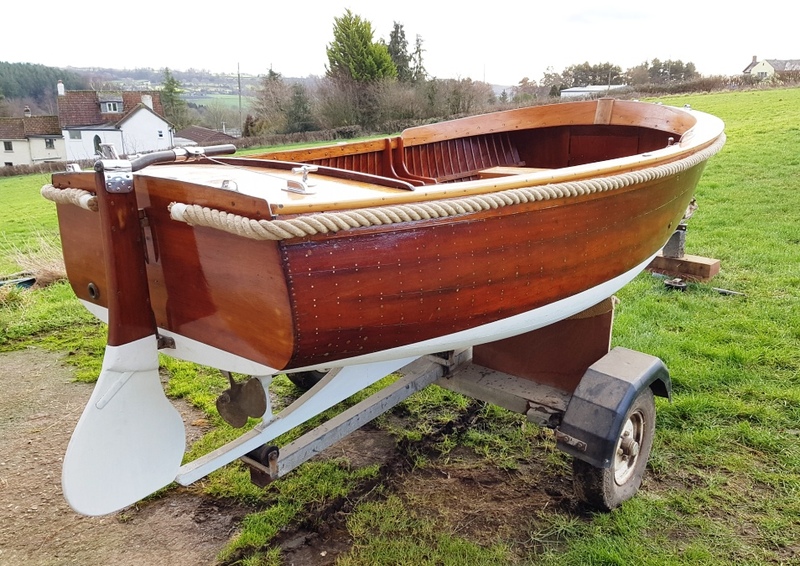 Restoration work by specialist shipwright Charlie Hussey & Jim Little. 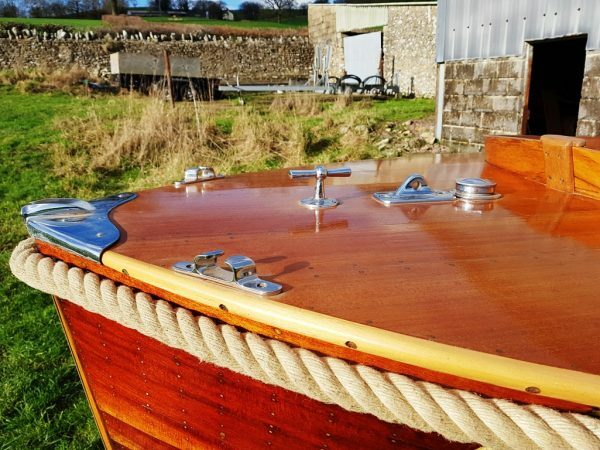 Including new solid teak decks, sole and engine bearers, solid teak and mahogany engine casing. 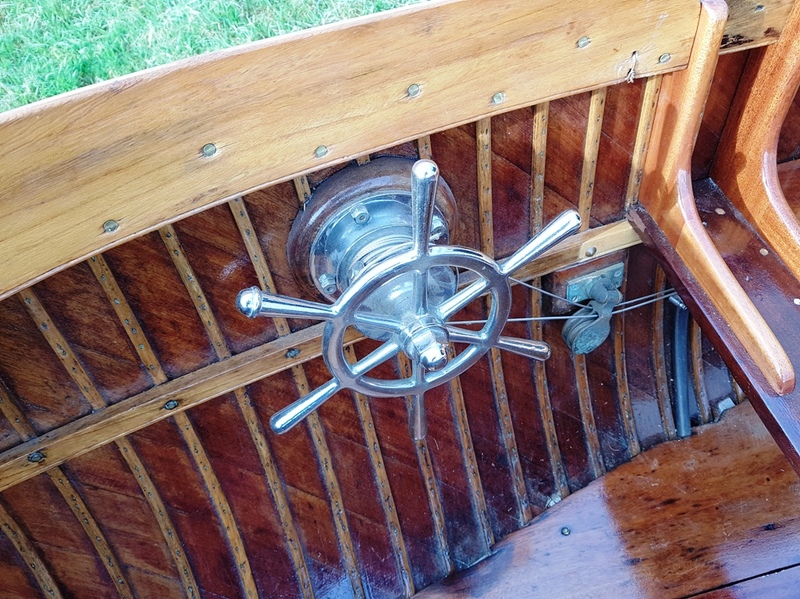 All original fittings re-chromed. New stainless steel steering cables. Finished in 10 coats of yacht varnish, white antifouling paint. 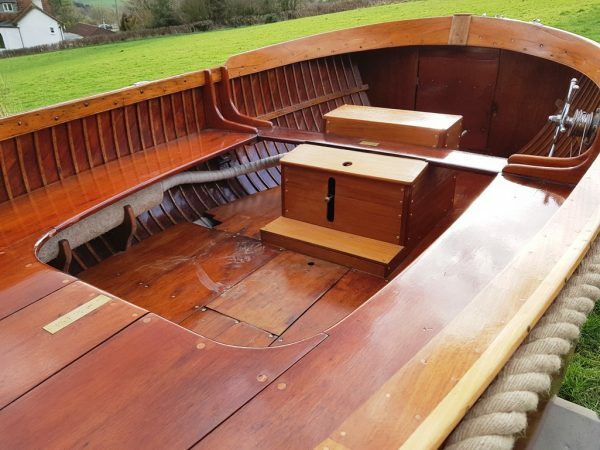 New Canadian white oak gunwales, with traditional rope fendering. 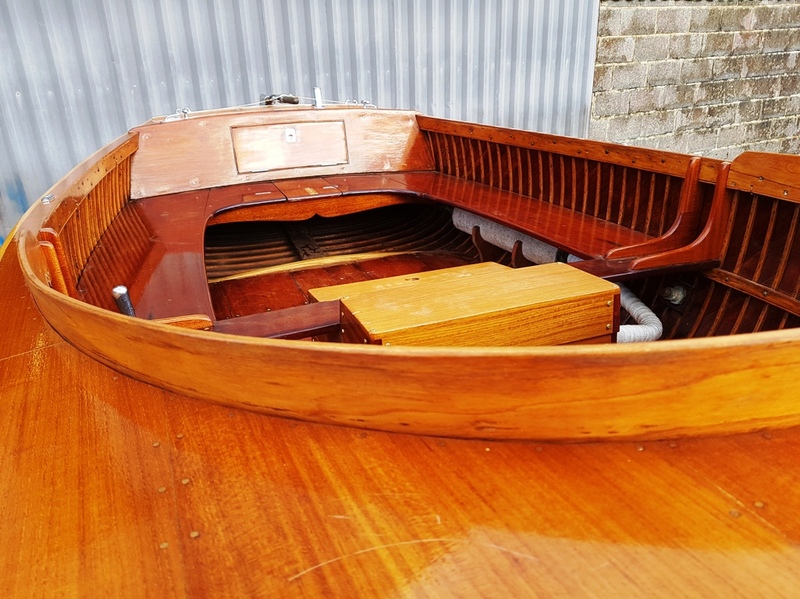 Double skin teak construction, diagonal inner planking and fore and aft topsides all copper clench fastened to close centred, steam bent white oak timbers. 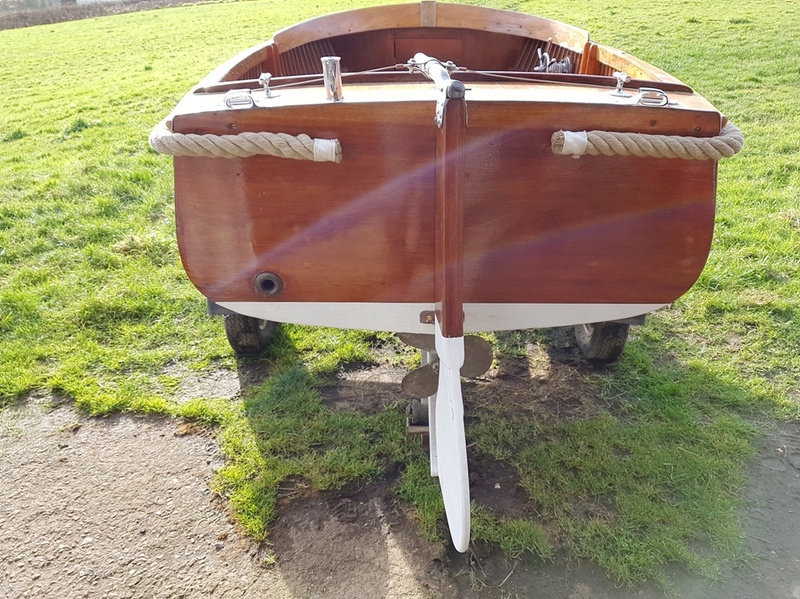 Straight stem, transom stern, round full bilges giving stability and load carrying ability, slightly swept sheer. 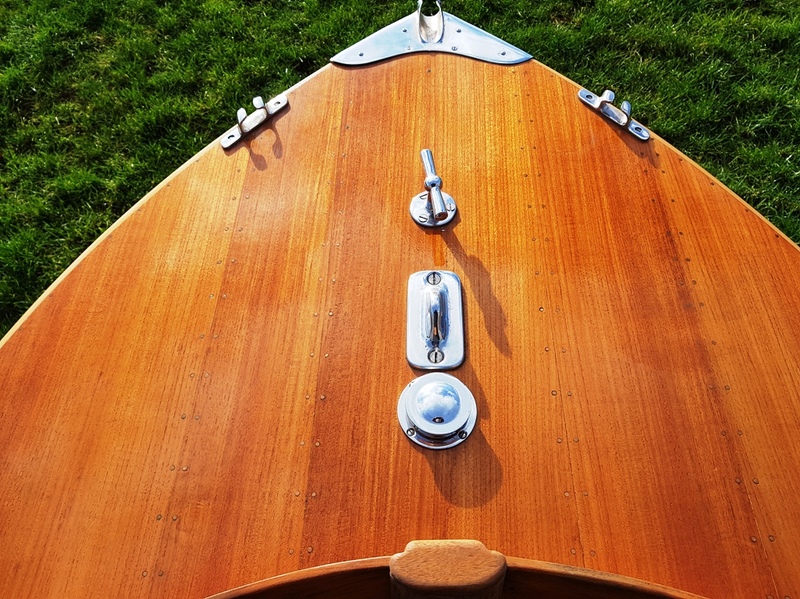 Transom hung rudder will additional tiller steering or forward wheel steering with quality chrome plated helm. 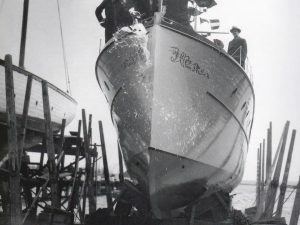 Long keel with aft skeg protecting the three bladed bronze propeller. 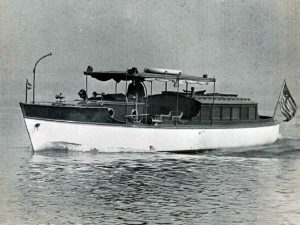 Covered fore-deck with useful cuddy housing the 10-gallon fuel tank. Centre thwart, stern and quarter seating and access to aft locker. Centrally mounted period 4hp STUART TURNER PETROL ENGINE (re-built 2017) with clutch and forward gear and throttle levers. 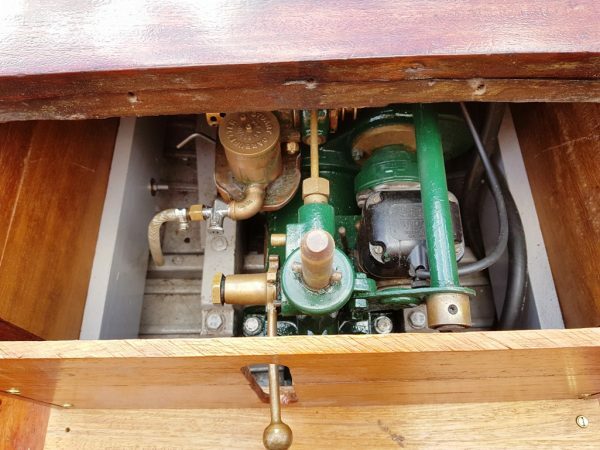 Crank start. Road trailer, recent new bearings. 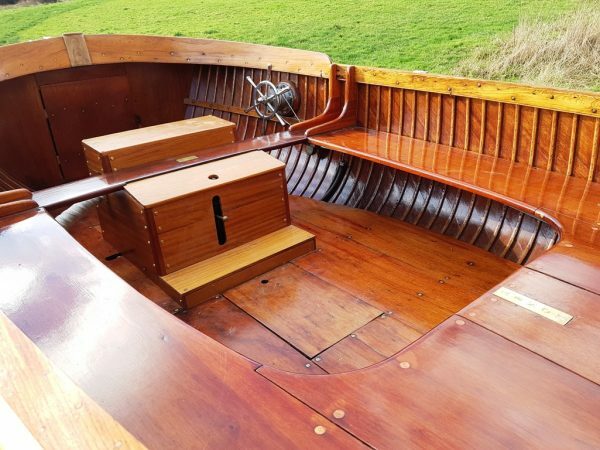 A most attractive and practical period launch beautifully presented and restored to original specification. 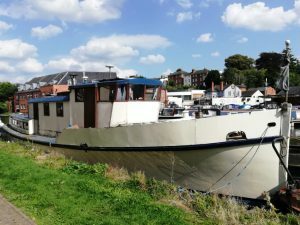 Ideal for lazy days pottering afloat, family picnics and fishing trips. 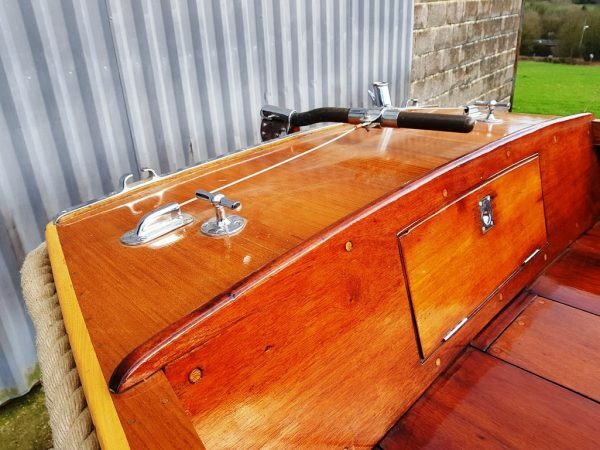 Superb on the River Thames, Stratford Avon or Norfolk Broads. 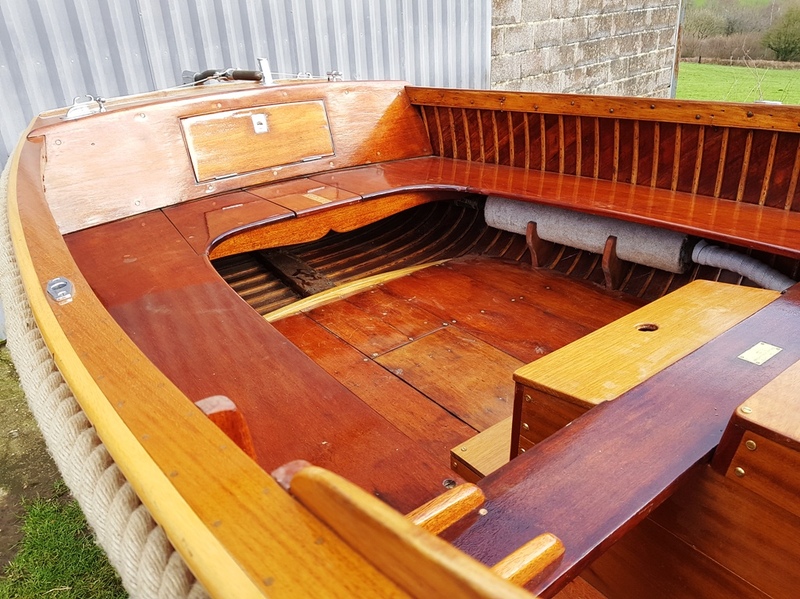 A rare opportunity to find an open launch of this type easily pulled by a family car and garage stored during the Winter.